Join us on Wednesday, May 8th at 1 p.m. Pacific time for this free, 45 minute webinar. If you can’t make it at that time, sign up anyway and we’ll send you access to the recording of the webinar. However, there will be a question and answer period at the end of the session, so if you want to be able to ask your questions and get real answers, show up in person. How Do I Get My Videos to Rank on YouTube? What length of video does best in YouTube research? How do you establish “authority” for your video? How do you demonstrate to YouTube that people will really want to see your video content? Do keywords matter? And if they do, how do you use them to optimize your videos? Join us on Wednesday, June 5th at 1 p.m. Pacific time for this free, 45 minute webinar. Search Engine Optimization (SEO) has changed dramatically over the last few years, but no matter how sophisticated Google and Bing get in cracking down on low-quality sites, keywords are still the foundation of how they deliver relevant search results to millions of people every day. How many times have you been determined to make a purchase but then decided NOT to because you see that the business, service, or product has a bunch of negative reviews and 2 stars? If you’re like most people, more often than you can remember. At the same time, how often have you been undecided about a purchase, but after seeing a bunch of 5-star reviews and reading glowing comments, you make the choice to pull out your credit card and take a leap. Online reviews have become one of the most powerful drivers of purchasing decision in modern commerce, and they also affect how well you rank in search results. Do you really think you should leave yours to chance? In this 45-minute webinar SEO Master Trainer Ross Barefoot will be joined by SEO and reputation management technician Matt Campbell as we teach you the fundamentals of protecting your most powerful asset, your online reputation, by encouraging good reviews and dealing with bad reviews before they do unnecessary damage. Want more visibility in Google and Bing? Overwhelmed with SEO? Don’t know where to start? We have good news for you. It’s really pretty easy to get started today on the road to better rankings. And you don’t even have to be a technical genius or an SEO hotshot. Just begin with the right title! Just about every page on the Internet has a title, just like every book at the local Barnes and Noble. But unlike all of those old-fashioned books, it’s often hard to know what the title of a web page is because it’s buried in the “HTML” code of the page. In this free, 45-minute webinar SEO Master Trainer Ross Barefoot and Certified Search Specialist Matt Campbell will cover the most important things you need to know and answer your questions. 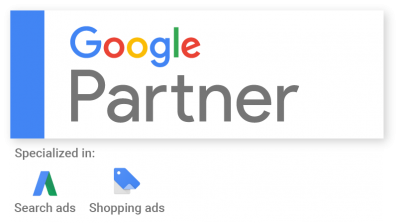 This 2-part how-to webinar is concise and laser focused on the basic ways to NOT throw away money in Google’s popular AdWords digital advertising platform. Most of what we cover is usually unknown to businesses who are managing their own AdWords programs. Evaluate whether Google Advertising makes sense for your business situation. How about the opposite. Have you ever met someone whose every facial expression, word, and gesture is closed down, unfriendly, and as cold as ice? Usually, you want to end the conversation and move on to someone who is more inviting, such as person #1. In this free, 45-minute webinar, SEO Master Trainer Ross Barefoot will walk you through the tool Google has made available to website owners to polish your online marketing “friendliness” and convince Google that your site is friendly to search. Marketers are learning how powerful “keyword research” is for broader research into their market and their customers. • What priorities drive my key customers? • What problems (i.e. “pain points”) are my ideal prospects researching when they are online? • Are there hidden cross-selling opportunities that we haven’t thought about? • What are consumers thinking that might reveal new product or service markets that we can tap into? • What are consumers thinking that might pose a danger to us as we compete for business? • What trends are getting stronger over time? And which ones are declining? • Is there any way to get answers about my market without spending 5 figures with a consumer research agency?